KickassTorrents will never come back. But its replacements will. And some already have. Law enforcement agencies shut down KickassTorrents about twelve months ago. And yes the whole affair did include lots of short but messy events. Basically, the United States of America carried out a criminal investigation against the people who ran KickassTorrents. Their findings stated that all of KickassTorrents key players had committed several offenses on several occasions. As a result, KickassTorrents went down. People tried to revive it with their unrelenting enthusiasm, but to no avail. KickassTorrents is no longer in existence. That is the truth if we are talking about KickassTorrents at its full potential. The site still exists in the form of various mirrors and such but none of them can match the functionality and convenience of the original KickassTorrents in all its former glory. Kickass Torrent’s name will live on. But sadly, the site will probably never come back as before. Of course, nobody can know for sure if the people behind KickassTorrents will come up with a new torrent site which will even trump the old KickassTorrents. And if the history of torrent sites is anything to go by then you can rest assured that the key people behind KickassTorrents will continue to look for opportunities in the piracy industry. From what we have seen from original KickassTorrents staffers, they are a dedicated bunch of people. And regardless of the pressure and the criticism, they are still trying to carry the Kickass Torrents torch. Okay, enough of the introductions for now. Let’s talk a bit about the past of KickassTorrents. And the present of KickassTorrents. Of course, while we’re at it, we will also talk about the future of KickassTorrents. As mentioned before, law enforcement agencies in the United States of America took down KickassTorrents about a year ago. The exact date is July 20th, 2016. And that action put the entire torrent community in disarray. In other words, the torrent community didn’t know what had hit them and what could they do to counter the relentlessness of law enforcement agencies in the United States of America. This situation is what some like to call “in dire straits”. But the story doesn’t really start with law enforcement agencies in the United States of America. It did start with law enforcement agencies though. But those belonging to the United States of America. If we can recall the incident a year ago, law enforcement agencies from Poland (and not the US) apprehended KickassTorrents founder Artem Vaulin. We just said “the founder of KickassTorrents Artem Vaulin”. Perhaps, considering we’re talking about an event that happened a year ago, we should say the “alleged founder of the hugely popular torrent site KickassTorrents. Polish law enforcement agencies with their officers caught Artem Vaulin at some local airport. Why Did Polish Law Enforcement Agencies Catch Artem Vaulin At The Airport? It turns out, the order for Artem Vaulin’s arrest came from somewhere else. The law enforcement agencies in the US had a criminal case against Artem Vaulin. ANd Artem’s arrest formed a small part of their overall criminal case. The US law enforcement agencies’ criminal investigation also showed that Artem Vaulin didn’t run KickassTorrents on his own. He had two more accomplices of sorts. In other words, the law enforcement agencies in the US wanted to arrest a further two key players behind KickassTorrents. As we have alluded to before, at the time, KickassTorrents regularly ranked itself as the most popular torrent site in the world. And this distinction made sure that law enforcement agencies would come after the people that ran the site. Many media reports had previously stated that KickassTorrents indeed ranked as the number one most-visited torrent site in the whole world. And as we have mentioned before, whenever and wherever you are number one, people will start to come at you from all corners. It doesn’t really matter if you are doing something legal or illegal. If you are number one. And people know you are number one. And that is exactly what happened with KickassTorrents. So it didn’t come as a surprise that law enforcement agencies had recognized KickassTorrents and wanted to take it out. In KickassTorrents, these law enforcement agencies as the most prominent target in the torrent community. 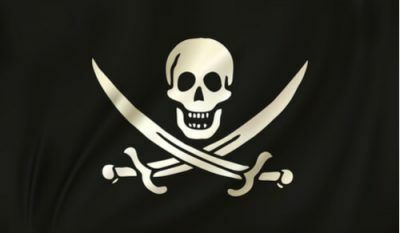 Pirates and piracy websites will always find themselves at odds with the law. From one angle, KickassTorrents run of being the most visited torrent site in the world ended as soon as law enforcement agencies finished their criminal investigation. But in one aspect, the criminal case against KickassTorrents formed just the beginning of the troubles which would face the operators of KickassTorrents. Yes, the completion of the criminal case marked the end for KickassTorrents. But it only started the lengthy and expensive legal battle for people who operated the website, KickassTorrents. Artem remains stuck in Poland. Previously, he had remained in law enforcement agency’s custody for a period of a full year. A couple of months ago, the court finally allowed him a release on bail. But in reality, Artem is still waiting on the final decision from the courts. The decision whether the courts will conform to the United States court’s request and extradite ARtem on their request. What About The Other Two Key Players Behind KickassTorrents? No one really knows who they are or where they are. In other words, law enforcement agencies still have not caught them. What will happen if Poland courts decide that they should extradite Artem? Well, then Artem will go to the US and should expect an expensive and extensive legal battle with law enforcement agencies in the US. Although, Artem’s fate is still in the balance, KickassTorrents’ is not. The hugely popular torrent website no longer works. But what about the brand? The brand is still there. As mentioned before, as soon as law enforcement agencies in the US took down KickassTorrents, people loyal to the site started to build and put up KickassTorrents mirrors and copied. That did work for many users. But most of the users missed the charm of the original. Some even miss it to this day. 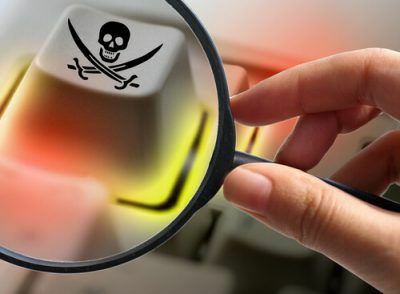 Whether it’s KickassTorrents or something else, law enforcement agencies will continue to search for more targets. As we said before, the site itself is dead. But the name is still good. And perhaps the most prominent and difficult effort in order to build a KickassTorrents replacement, in the form of a product, has come from the people who worked as staffers for the original KickassTorrents torrent website. These people are one tough batch of people. As soon as law enforcement agencies struck down KickassTorrents, they began the rebuilding process. First, they helped out the community with the launch of a community forum. This forum specifically catered to estranged KickassTorrents users. That happened in the summer of 2016. After a few months had passed, the same people decided to upgrade their KATcr project. Now, they came up with a fully functional torrent site. It mimicked the user interface and the general look of KickassTorrents The Original. As mentioned before, KickassTorrents went out of business about a year ago. The team over at TorrentFreak reached out to the people behind the new KATcr operations team. They asked them about the future plans for the project and their previous memories about the original KickassTorrents. One of the people behind the new KickassTorrents project goes by the name of Mr.Gooner. He said that when law enforcement agencies brought down KickassTorrents, it came as a disheartening and shocking event for everyone involved. Moreover, he said, that the operators of the site had expected this to happen but did not expect it to happen that quickly and comprehensively. Gooner also stated that the team at KickassTorrents had actually written history and managed to make many friends. They also learned a lot of stuff and managed to achieve too much to recall. Gooner further added that thanks to the work done by the people on the original site and other loyal supporting users, the new team can now comfortably rebuild their ship and then set it to sail again. We have already mentioned that the team behind KATcr managed to put up a forum within a few days of law enforcement agencies taking down KickassTorrents the original. But of course, setting up a forum is one thing and building a fully functional and organized torrent site is quite another. In other words, the processes that go into the proper functioning of a torrent site are way more complex and difficult. Luckily for the operators of KATcr, they can count on several admins who had worked on the previous website. And they did not hesitate to come on board. Of course, they didn’t have much access to the original KickassTorrents code or even the old database. And that’s why it took the new team a couple of months to build and put up a genuine KickassTorrents replacement. They did so from scratch if that makes any difference to the amount of hard work they had to do in order to get a KickassTorrents replacement up and running again. The operators of the old KickassTorrents along with some new people managed to eventually launch the fully functional torrent site back in last December. As expected, the new site still does not get traffic anywhere close to what KickassTorrents got before law enforcement agencies destroyed it. Even with that, the operators of the new KickassTorrents replacement feel that many users who had left the community because of the shutdown are starting to come back to the site. In an interview given to TorrentFreak, Gooner noted that the team did face some hiccups. And they also faced many other minor issues that all news sites regularly experience. However, he said, the traffic had started to increase at a decent rate. He also said that the operators of the new KickassTorrents site have planned a continuous improvement process. And because of their hard work, the name of the new KickassTorrents site had spread far and wide. Moreover, Gooner said, the site had opened its doors to anyone and everyone. And they have done so with open arms and o reservations. Anyone who wants to join can join. Gooner also pointed out that the team behind the new KickassTorrents replacement really knew what it felt like to lose one’s home. There is little doubt about the fact that opening a new website whose previous version got shot in the back, is a difficult task. And not many people would happily try to revive a fallen website. Especially given the fact that the United States Department of Justice hunted down the website and then killed it. However, the team behind KATcr still believes that they are doing nothing wrong. In fact, they believe, they are functioning as a torrent site while remaining completely within the boundaries set up by the law. Gooner also said that as far as the team behind KATcr was concerned, they operated to and gave consideration to every letter of their local law. What about The Future Of KickassTorrents Replacement? The team behind the site hopes that it is able to expand the site’s base functionality so that more and more people become regular users. In other words, they want to expand their user base. Not that the user base is small at the moment by any means. We have to take into account that law enforcement agencies took down KickassTorrent just a year ago. And KATcr came online months after KickassTorrents shut down. Regardless, the team behind KATcr wants to look ahead. And not dwell in the past. Of course, the team still misses some people who have left the project. But apart from that, the team behind KATcr is fully focused on the future. Gooner told TorrentFreak that he did miss the people who no longer worked with the new team. But, he said, rather than dwelling on the past, the present and of course the future was what mattered. He ended his comment by saying that his team did not have the inclination to look in the past lest they miss something good that is in the future. Moreover, he said that Artem Vaulin, the alleged owner of the original KickassTorrents website, had a better future as well. But he said, Artem Vaulin’s concerns did not match up with his own.